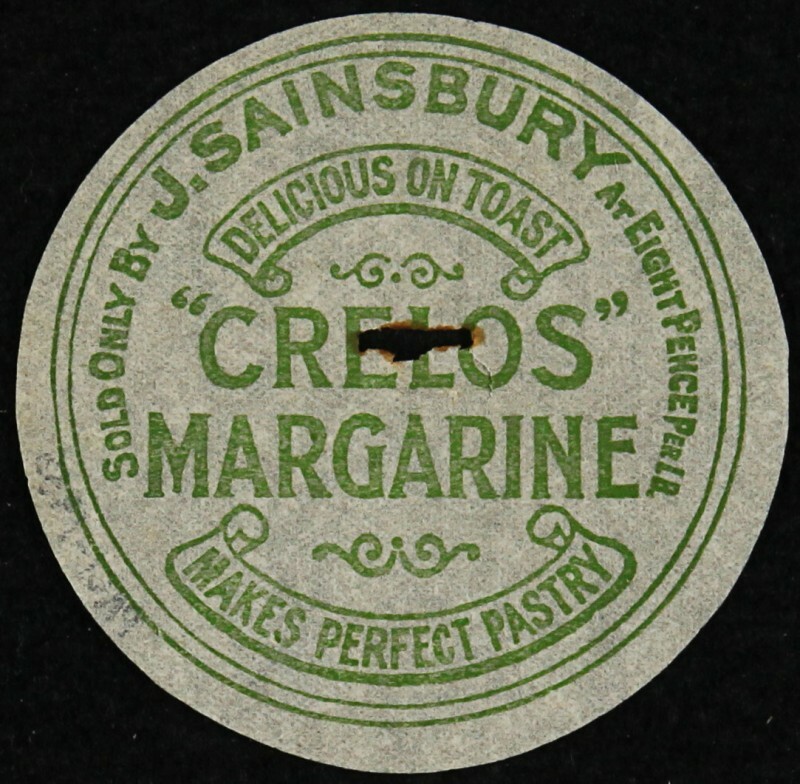 Label for J. Sainsbury Crelos Margarine. 'Sold only by J. Sainsbury at eight pence per lb. "Crelos" Margarine Delicious on Toast Makes Perfect Pastry.